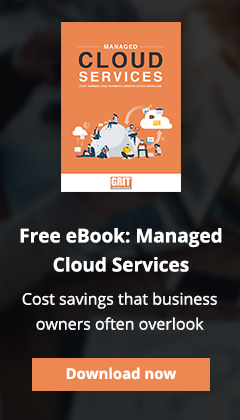 Whether you’re looking to keep IT costs predictable, avoid unexpected problems, communicate more effectively or make a plan for business continuity, GRIT Technologies has a solution for you. An investment in our powerful and flexible technology solutions deliver the reliability and performance you expect. Local experts who can visit on-site: Detroit IT Consulting, Troy Computer Support, Clinton Township Backup and Data Recovery and Detroit Network Services.